The Week in HD - Tuesday 22nd April | What Hi-Fi? Hello everyone, and welcome to The Week in HD, our guide to all the must-see high-definition TV shows, films, sports and Blu-ray releases to grace your screens over the next seven days. Also, check out our new Twitter account @WHFplaylist for the latest news and reviews of our favourite movies, music, TV shows and games, as well as competitions that you can enter to win some shiny prizes. Want to know why there was such a fuss over the latest Superman flick? Find out in this TV premiere, with Henry Cavill donning the cape as he fights General Zod to save Earth. There may not be unanimous love for the film, but it sure makes a great test disc. The Many Mouths of Aaron Colville. When the signature bitemark of a long-dead serial killer resurface on new victims, Holmes and Watson deduce that the real killer may not be as dead as they thought. The highlight of this episode? Clyde the turtle in novelty knitwear. We love Clyde. The second of the Champions League semi-finals, pitting two giants of the European game head-to-head. Can the Germans win this competition two years on the trot, or will Real Madrid's Galacticos – featuring Wales' own Gareth Bale – march on themselves? It's the final week of heats, with six more amateur chefs ready to impress the judges with their culinary skills. After putting forward their signature dish, they take on the dreaded invention test: creating either a savoury (with quail's eggs, sausages, fennel, cous cous and parmesan cheese) or a sweet (with rhubarb, pomegranate, semolina, puff pastry and popping candy) dish. This three-part adaptation of Daphne DuMarier's gothic novel comes to an end, with smugglers and secrets alike in danger of being exposed. A Day's Work. Mad Men is well and truly back – last week's opener set the scene for the last series. Tonight, we're focusing on Peggy, Pete and Joan as they navigate their way through new business ventures and awkward situations. Breaker of Chains. Another chance to watch the third episode, where the game-changing events of the Purple Wedding has shocks and surprises in store for everyone in King's Landing. No one is safe: the Lannisters must move fast to retain their hold on the Iron Throne, the Martells and Tyrells plot to stay ahead of the game and Sansa must flee for her life. But it's Tyrion who faces the greatest danger: his sister Cersei's wrath. In the sweet box: pineapple, white chocolate, digestive biscuits and sherry. In the savoury box: rabbit, smoked haddock, bacon rashers and curly kale. The last six hopefuls must put their creative hats on for a chance in the quarter-finals. Room 147. The best Castle episodes are when they go full-on silly. Forget real-world logic, this murder mystery series flourishes when it's being creative, baffling, and simply ridiculous. Beckett and her team are stumped when several different people confess to the same murder. Can they sift through the identical confessions to find the real culprit? The second instalment of The Hobbit franchise was a more action-packed outing, with the dragon Smaug finally making his glorious appearance. Here's our review of the film on Blu-ray, which makes an excellent test of your home cinema system. You'll definitely need a talented subwoofer to do justice to Benedict Cumberbatch's thunderous voice work as the charismatic Smaug. Turn, Turn, Turn. Who are Agent Coulson and Skye shooting at? Why, it must be the traitor within. That's right, after the consequences of Captain America: The Winter Soldier (you may need to watch the film because spoilers), masks are being ripped off and the SHIELD organisation's place in the world is at risk. In the final quarter-finals, the contestants must recreate John Torode's dish of Singapore chilli crab – which requires the chefs to prep and cook a whole crab – to get to the final rounds of MasterChef's 10th series. How do you get out of death row? If you're Jason Statham, you take part in a deadly motor race. To gain freedom: be the last man standing, er, driving. Four city-bred zoo animals struggle with going wild when they accidentally end up in a shipping crate en route to Madagascar. Releves. Need to catch up with this stunning series before the second series finally hits our screens in two weeks' time (6th May on Sky Living HD, 10pm)? Of course you do. Where did Hannibal's cold and calculating manipulation of Will Graham's slowly deteriorating mind leave them last? What happened to Abigail Hobbs? How come no one has noticed that the meat they've been eating doesn't taste like it's supposed to? Grand Prix of Argentina. The sport returns to Argentina after a 15-year absence at the newly updated Termas de Rio Hondo circuit. It's the 3rd race on the calendar, and current champion Marc Marquez is on his way to a hattrick win. Ducati's Cal Crutchlow has to sit this race out due to a dislocated finger sustained at the Austin GP – but should be back for the race in Jerez next week. It's BBC Two's 50th birthday, and to round off the celebrations here's a look at the sporting highlights featured on the channel in the last half-century. From the inception of Match of the Day in 1964 to Usain Bolt's 100m world record in 2008 and many more, Sue Baker presents this trip down memory lane alongside contributions from Murray Walker, Gary Lineker, David Attenborough, Ian Botham, Andy Murray and Clare Balding. We've learned from Hannibal that TV adaptations of cult films can be successful. And as the first reviews roll in, it seems this adaptation of the Coen's brothers's 1996 classic film might just prove to be something special. 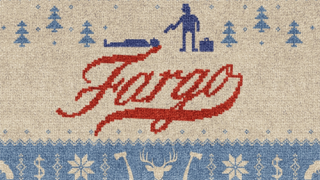 Its bleak Minnesota setting, the dark comedy and oddball characters all emulate the original film, but the show isn't just a faithful remake. There are bold and creative turns that make it its own – and with Martin Freeman, Billy Bob Thornton and Colin Hanks in the cast, we'll be sure to keep tuning in.